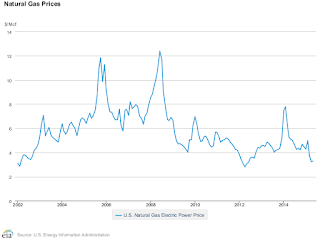 Back when I was trying to make Energy Cache work, a big headwind that I ran into was the falling price of natural gas due to fracking. 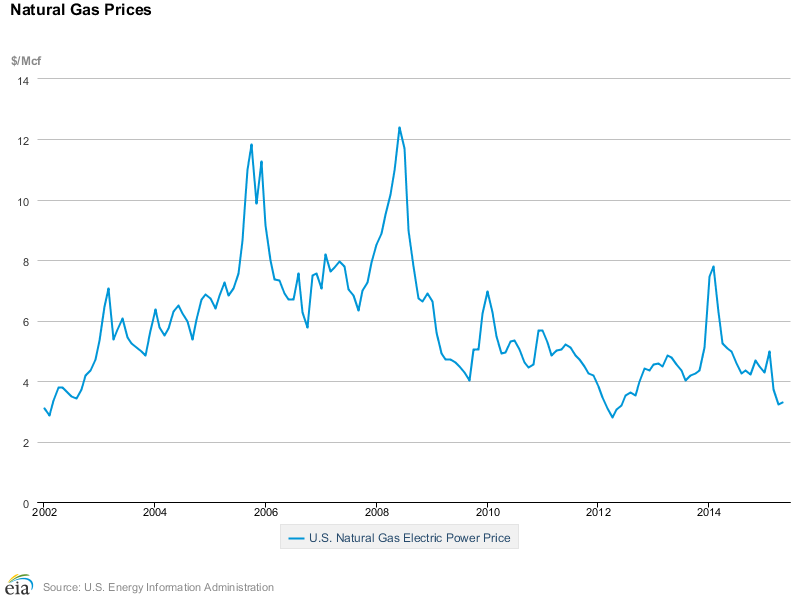 The EIA reported that gas prices for electric power generation were hovering around $3. 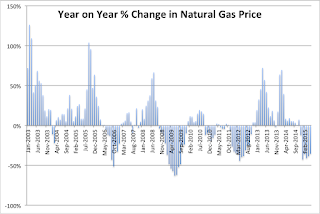 I tried to make the argument that, long term, prices would go back up. And by early 2014, they had - almost to $8/MMBtu. However, I just checked recently and they are back to $3. This is crazy. Look at the Year on Year variability! 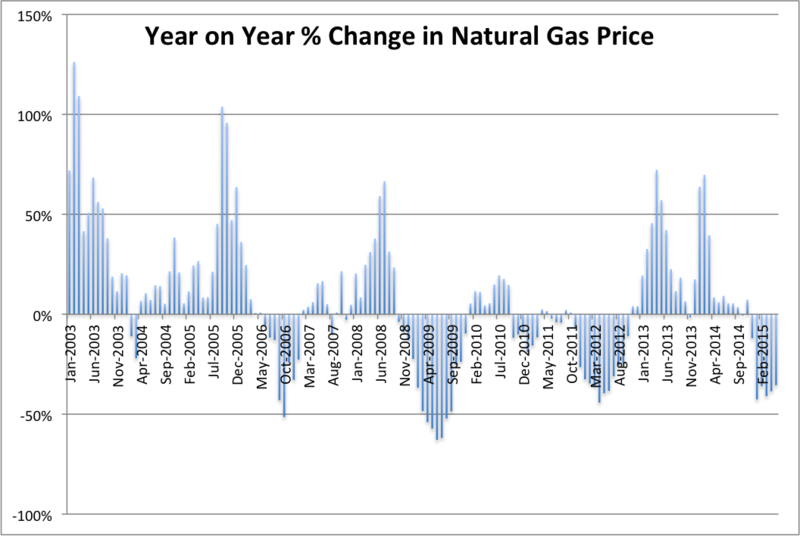 It's not that uncommon for the price of gas to be either 50% higher or 50% cheaper than the year prior. Hedging this risk must be crazy expensive, and there has to be an opportunity in here somewhere.